The single market can aid the spread of socialism, former Greek finance minister Yanis Varoufakis told an audience of Labour MPs and pro-EU activists last night. The high-profile economist said there is a “very good leftist, Marxist argument” in favour of the trading bloc when he made a rare direct intervention into British politics. 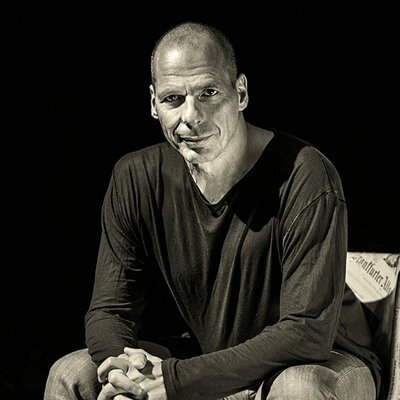 Varoufakis, who achieved global prominence when he performed a pugnacious role in Greece’s global negotiations during its sovereign debt crisis, was speaking in parliament on the eve of the publication of a new report by Open Britain and the Labour Campaign for the Single Market, which sets out to destroy the “Lexit myths”. The self-described “erratic Marxist” Varoufakis warned Britain against negotiating a “Canada or South Korea-like agreement” and said there was a huge social and economic impact from Britain’s role in European politics. “I will speak as a Marxist. Communist Manifesto: when he says that the communists are being blamed or accused of wanting to take nationality, ethnicity, national pride away from the majority. And he says ‘you cannot take away from them that which they don’t have’. There is a very good leftist, Marxist argument in favour of the transnationality which the single market, and indeed the European Union, is putting forward. “Remember that Marx was in favour of Zollverein, the customs union within Germany. Why? Because he thought it could speed up the capitalist process, and without speeding up capitalist development we would not develop the technology that is essential for socialism. Varoufakis resigned from his job as finance minister in 2015 and a “Grexit” – or Greek withdrawal from the single currency – was narrowly averted. Last night Chuka Umunna, a leading supporter of Open Britain, delivered high praise for the speech delivered by Varoufakis, who comes from a very different left-wing tradition to the former shadow business secretary. “It was fantastic to hear a key figure from the European left making the inspirational case for keeping Britain in the single market as the best means post Brexit of advancing social justice and progressive values. It illustrates the depth of support across the Labour movement for this campaign,” he said after chairing the event.